Award winning paranormal adventure awaits! The home of J Patrick Allen, author of the Dead West series of books, as well as other works of science fiction, fantasy, and fancy. Check here for book updates and the latest information, as well as tips on writing and ramblings on writing life. 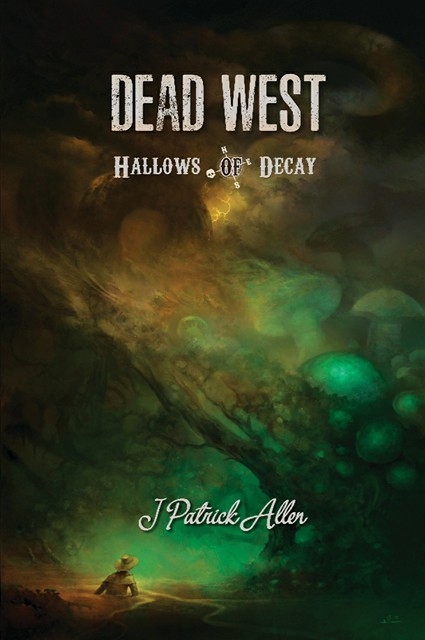 Dead West: Hallows of Decay Now available on Amazon and Kindle Unlimited! Now available for the first time on Kindle Unlimited! Everyone brought something from the old country. Grandfather's watch, and grandmother's china' great-grandfather's folklore, and great-great-grandmother's fairy tales. What is never discussed, however, are the undying characters of folklore: nix and fairy, goblin and vampire, dragon and eldritch things who all came to America's shores in time with the rhyme of their tales. The Knights of Charlotte hunt those things, ensuring what came from the dark stays in the dark.Two of their knights, Samuel and Charlie, approach the tiny town of Silverton. It's in a precarious position. A cult worships out in the dead mine, approaching town only to proselytize the town, by force if necessary. Its inhuman aid, the Seraphs, prove nearly impossible to kill. Even for Knights of Charlotte. As the siege of Silverton devolves into chaos, Charlie is cast into a phantom world where everything he's learned so far seems useless. Unable to navigate, eat, or communicate with another living being, he's still the best hope for survival. Dead West: Hallows of Decay picks up where Bond of Blood and the rest of J Patrick Allen's award-winning Dead West series left off.